I initially found PDXWIT through a random chain of blog posts that I was reading. One of the authors mentioned PDXWIT and I was curious what the organization did. Seeing the job board, I tried my luck at posting an engineering position at 2600Hz to see if anyone would respond. We typically see few, if any, applicants when posting to traditional sites, so I was curious to see the results of posting to a board for a narrower audience. 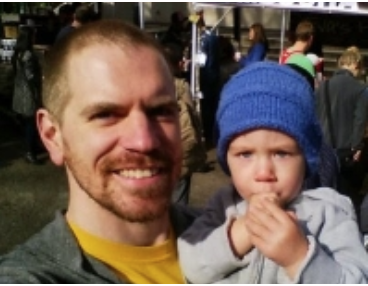 Through that post, Megan and I started to chat via email and, once our schedules aligned, met in person to see how PDXWIT could help me and 2600Hz (and talk about our kids, of course! ).Though the initial post didn't generate any leads, a second round of posts resulted in several applicants and one hire! While working with PDXWIT on a satellite talk, I was introduced to a woman with connections to tech and business leaders in the Portland area. We are discussing how to tell the story of 2600Hz and what we do for a more general audience. I've also talked with the PDXWIT team members about building a message that resonates with more than telecom nerds. The hope is to describe what 2600Hz does in a more accessible, concise way that a wider audience can understand and get excited about — and hopefully build new applications on top of the platform! In conclusion, I think maintaining an open mind about where quality folks can be found and what backgrounds they might have is key. Be honest about what your needs as a company are for the position you are hiring and find ways to connect to the human behind the résumé. Foster an environment where people are intrinsically motivated, and personally empowered to effect change, and they will amaze you.